It was a demanding task for the divers to stay oriented under water. In order to avoid any mistakes, a major planning and position-marking operation was put in hand before the actual upgrading process started. "Everything looks much the same under water, and it is easy to get lost. But the good marking meant that the upgrading process went fine," says Braseth. 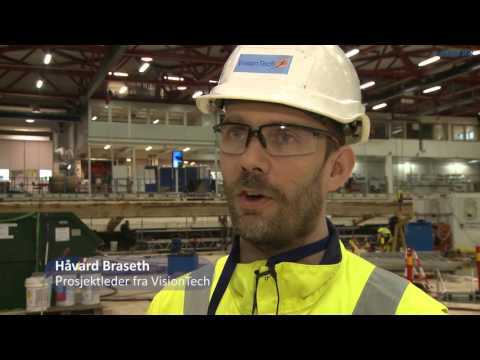 The NOK 22 million upgrading project was financed by the Research Council of Norway. "Now it will be easier to get everything into position. We have a more even floor, which will make troubleshooting easier, and maintenance downtime will be reduced. Instead of taking five hours to adapt the floor to the needs of a particular experiment, we will be able to do the work in half the time," says the project manager.